Usually Jello shots are either too sweet and fruity or too strong. This is a perfect recipe I’ve perfected over the years. If you don’t like the lime flavor substitute for another flavor of Jello and substitute the margarita mix for a juice that mixes well with the Jello flavor. The main thing is to keep the measurements the same because the right amount of alcohol to Jello to juice content is key. Simply place the tray of Jello shots in the freezer for 45 minutes – no more, no less. At this point they are semi-set. Place them into the fridge and they will set in 2 hours. 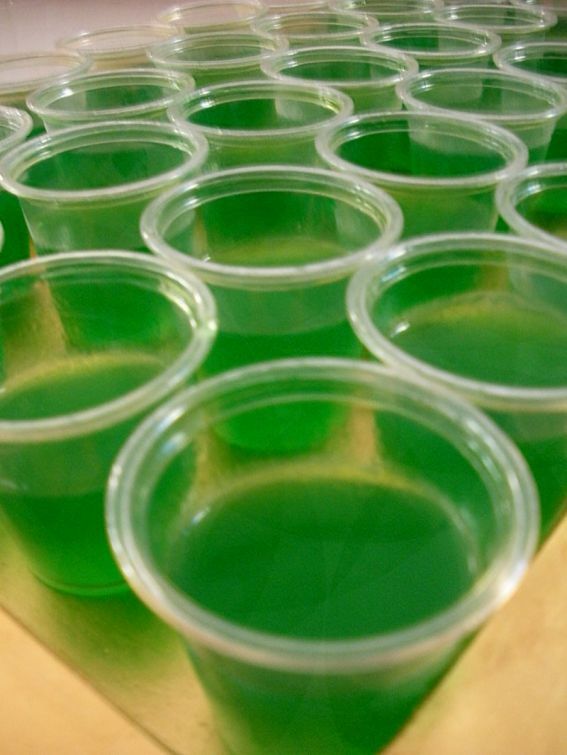 This recipe with one package of Jello makes 40 Jello shots.